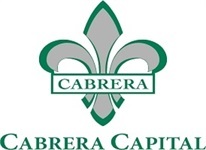 Cabrera Capital Markets prides itself on its distinct level of electronic and algorithmic trading services and quality of execution. Our experienced trading team works closely with our institutional clients and is dedicated to maximizing their trading effectiveness. Our traders work to ensure we provide optimize trading, enhanced trading options and reliable access to liquidity in an ever evolving marketplace. We continuously measure and review best execution as well as continuously appraising new execution platforms. We continually upgrade our pre and post trade analysis tools and we have recently upgraded our portfolio trading to specifically factor in client customization. Cabrera is fully FIX compliant.Our order management system (Bloomberg SSEOMS) is certified with the majority of other 3rd party order management systems. SSEOMS enables our traders to electronically receive client orders quickly and efficiently. We have the ability to trade directly into the market through SSEOMS, therefore giving our client real-time reports. All trades are cleared via Broadcort, a division of Bank of America Merrill Lynch, and are matched using CTM, OASYS and ALERT systems.